Welcome to Saturday Business chat. Today we’re saying hello to Carol Anne Markham, from Barristerlink.com, a service which connects solicitors and barristers and makes their communication easier. This is another young business, and it’s always interesting to contrast these with the ones that have been established for longer – and yet again we find that family circumstances are what’s propelled someone into business ownership. Carol Ann is a serial entrepreneur, however, having already developed then sold one business idea. As with many of my interviewees, the steep learning curve has been helped by joining business and networking associations, in this case Women in Business and the Federation of Small Businesses – it’s always worth looking around to see what’s active in your local or business area, although it’s good to try things out before committing to any fees – most organisations will let you do this or provide plenty of information on their benefits. After the death of my Dad, I became the carer for my mum and needed to be able to have a business based at home allowing me the opportunity to work around the needs of my mum but allowing me to work – carer’s allowance doesn’t give you much of an income. This new situation also gave me the push to start a business that’s always been put off! I have worked in the legal industry early on in my career, my husband has always worked in this area and over the years I have learnt a great deal. It is an area I understand and know this service will be beneficial in a changing market. I did have a venture a few years before, again a legal service – my husband’s idea that I put into practice and it was bought by a software company. As I had to give up my job a number months before to look after my Dad, I was not working. I have not had an income for a couple of years due to the situation with my parents so I hope to soon receive one! There is a lot more to learn than just the business you want to develop and provide. Used some of my time before the launch to learn about social media and SEO. Joined groups like Business Womens Network and Federation of Small Business to meet like-minded people and attend seminars, talks, and training on items that I need to learn about. Make sure your contact telephone number is on EVERY page of your website in the top banner – people do not want to search for it and will quickly check someone else’s site. Obviously this is a new venture and I have achieved my first goal of getting a core database of barristers, now I need to grow my users – Solicitors, this is my next challenge. With a brand that is recognised in the legal community and a “must have” service. It sounds like things are going well initially, and we look forward to hearing about your first year and a bit in business! 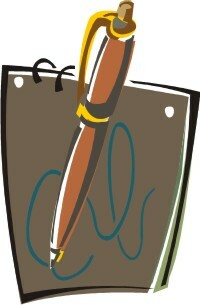 You can find Barristerlink at www.barristerlink.com. Carol Ann’s phone number is 01268 201003 and she can be found on Twitter and LinkedIn. Carol Ann didn’t provide any further updates after this first interview. As far as I know the website is still live as of September 2013.